Melt butter in a medium pot over medium heat. Add garlic, and cook for two to three minutes until garlic is fragrant but not burned. Add wine, then increase heat to medium-high until wine is at a simmering boil. 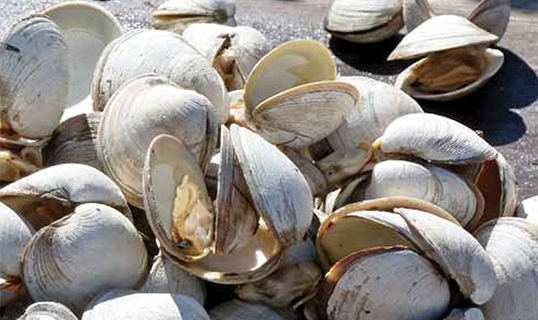 Add clams, and cook covered for five to seven minutes, stirring occasionally, until clams have opened. Add herbs, and give a quick stir. Transfer clams and broth to a large serving bowl; place lemon wedges on the side. Dip clams or crusty bread in broth and enjoy.